Over the past 3 years, there has been a 600 percent increase in the number of Americans who identify as vegan. 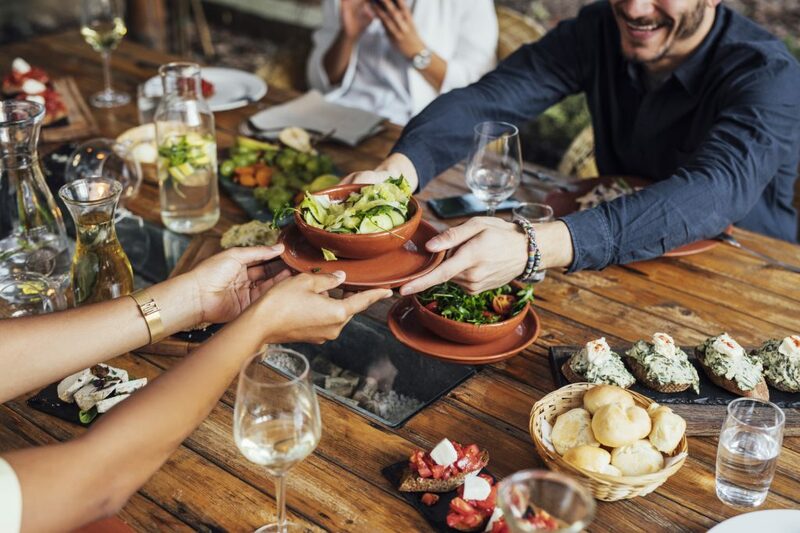 As a response to the growth of veganism, from vegan travel tours to vegan festivals, a number of businesses have emerged to cater to the rise of plant-based hungry people. Recently, there has been an increasing number of people switching from veganism to exclusively raw vegan diets. That’s not cooking any of your meals, and living off raw vegetables, fruits, and other raw ingredients. So, let’s finds out what are the top facts you need to know about the emerging trend of raw vegan restaurants. Let’s jump in! There are always reports in the media that switching to a vegan diet is absolutely unaffordable. Many people claim that a raw vegan diet can set you back thousands of dollars every year on your food bill. This might come as some surprise to many life-long raw vegans who have happily managed to maintain a balanced and nutritious diet on a budget. Although celebrity vegans, such as Brad Pitt and Beyoncé, may spend big bucks in raw vegan restaurants on fancy meals, this is not the norm among vegans. Once people start regularly visiting raw vegan restaurants rather than burger joints and steak houses, they notice they’re spending a lot less on eating out as a vegan compared to when they ate meat. Think about it – the most common ingredients that make up a vegan’s diet are vegetables, grains, and pulses. All of which, even if they are organically, locally and ethically sourced, are often cheaper than meat alternatives. Whether you’re searching for a low-fat diet to help you lose weight or you simply want to switch to a healthier diet, raw vegan is definitely the way to go. By eating more raw fruit and veggies, you get the most out of what you eat. That’s because when you cook ingredients you lose the vitamin B and C that it contains. Raw vegan diets have been linked with a number of positive health outcomes. Plus, there are a bunch of chronic diseases that raw veganism helps you fight against. For instance, if you have a coronary heart disease, go raw vegan. There is also scientific evidence that suggests that raw veganism can reduce your risk of cardiovascular disease, obesity, type-2 diabetes, and cancer. By regularly eating out in raw vegan restaurants, you can start enjoying the benefits of a more natural diet. Lastly, you can protect the environment by going raw vegan. Not only does this reduce your greenhouse gas emissions, which cause global warming. But you also preserve the habitats and animal species from harm. A large portion of the world’s water goes towards agriculture and meat production. That’s why a vegan diet is the most water efficient diet to reduce how much water you consume. Now you know the facts about raw vegan restaurants, you can take a trip to your local vegan place. By enjoying raw ingredients, you improve your overall health, save money and do your bit for the environment at the same time. Do you want to find out more about eating vegan in restaurants? Check out our blog!